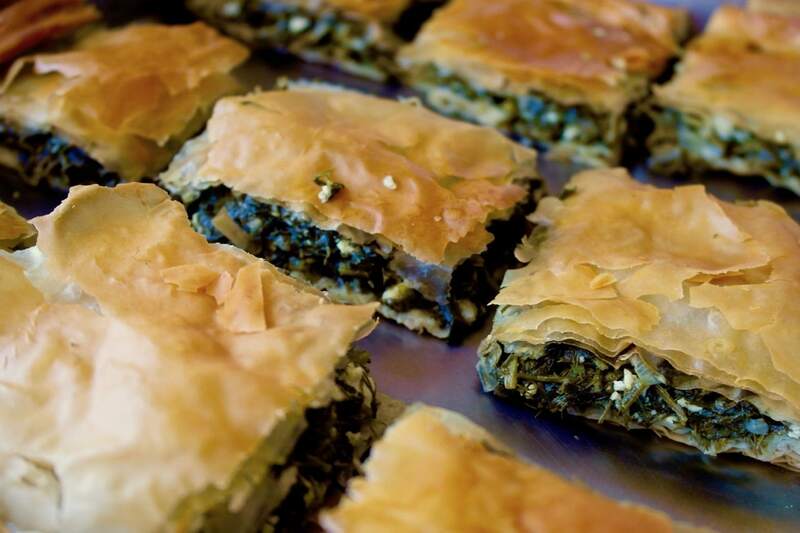 Everybody knows the famous spanakopita also known as spinach pie, a combination of spinach and feta cheese. But something I like even more is a greens pie. 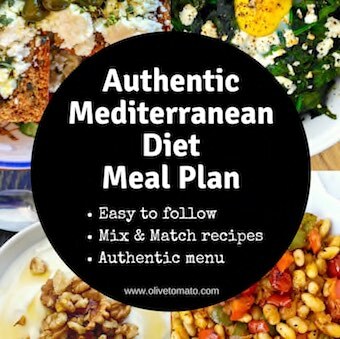 It is one of the secrets of the Greek diet. Various greens mixed with herbs and a bit of feta (or not) tucked in layers of phyllo dough. Within the traditional Greek diet, the consumption of greens, particularly wild greens contribute largely to the benefits of the diet. They are good sources of various antioxidants as well as omega-3 fatty acids. These greens can be consumed boiled or cooked in olive oil and accompanied with lemon juice and feta, but also in pites (pies). Pites are a fine way to eat vegetables and even more so greens. And this applies to kids as well; my kids happily will eat 2-3 pieces in one sitting. 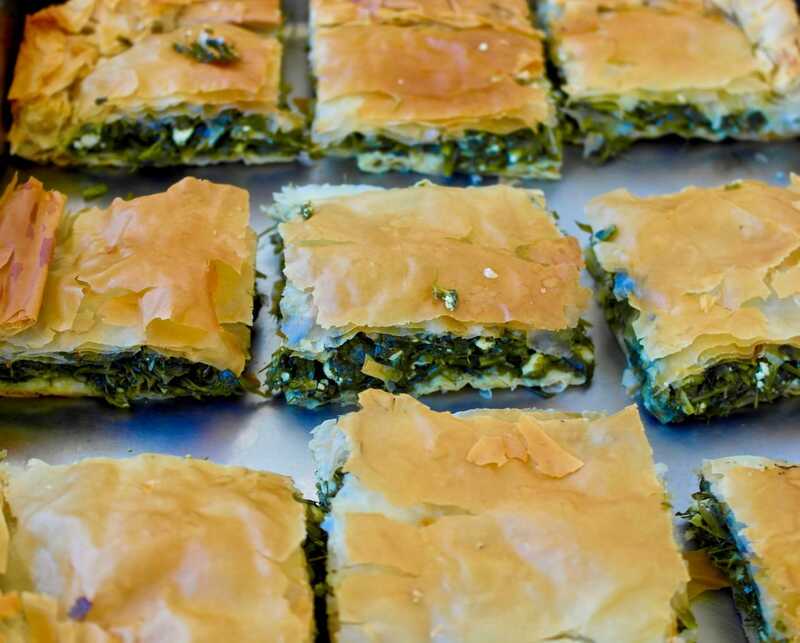 Now, there is no one recipe for hortopita, basically you use a variety of horta (greens) combined with herbs, feta and then use phyllo to wrap it all up. Obviously homemade phyllo is the best, but store-bought phyllo will do, just make sure to look at the ingredients. 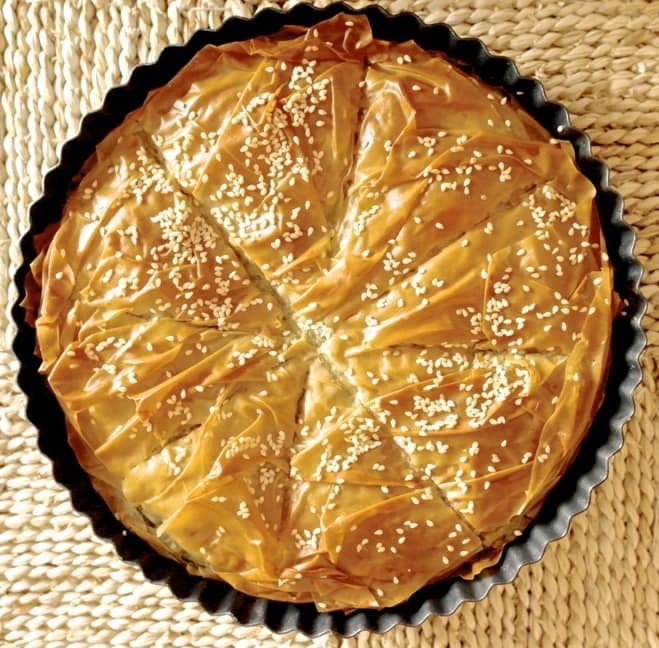 Ideally phyllo contains only flour, cornstarch and a preservative, this is the case in Greece. In other countries though most phyllo also contains a little bit of fat, look for phyllo with as few ingredients as possible. Like I said you can use any greens you like (wild greens are the best, if you can find them), just make sure the amounts correspond to the size of pie you are making. I make it either as a round 8-9 inch pie or in a rectangular pan. For a small pie like the one in the photo below, you need about a pound of greens and herbs, 3-4 ounces of feta and 1 egg. If you make a large rectangular pie (13 X 9 inches) than I would double the amount of ingredients. The nice thing about this recipe is that it does not require a lot of prep work apart from washing and cutting the greens and layering the phyllo. And yes there is olive oil, don’t try to skimp on the olive oil, the phyllo needs it, and so do the greens. Remember the calories balance out, as the greens hardly have any calories. Plus the fat increases the absorption of antioxidants from the greens. 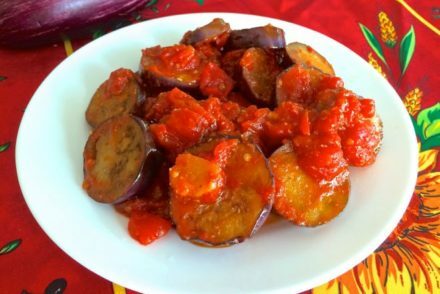 And you can also make this a vegan version without feta and egg, as the vegan version of hortopita was very common during Greek-Orthodox fasting periods. For this version I am using 2 types of aromatic greens/herbs myronia (wild chervil) and kafkalithres (Mediterranean hartwort), which are most likely not very, easy to find outside of Greece or the Mediterranean so you can just substitute these, with greens and herbs of your choice. Preheat oven at 350 degrees Fahrenheit (180 degrees Celsius). Wash and chop all the vegetables. Dry well. Heat a pot with 1-2 teaspoon olive oil on low to medium heat, add the greens and heat until spinach is wilted- about 3 minutes and liquids have evaporated. *Alternatively place all the greens in a big bowl, add salt and rub together. 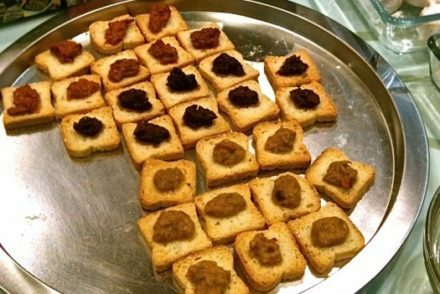 Let them sit for 15 minutes and then skip step and go to step 5 (five). Place spinach in colander and let it drain and cool. Once cool, squeeze the liquids out with your hands, place in large bowl. In a small bow beat the egg and add crumbled feta and a bit of salt and pepper for taste, add to greens and mix well. Take a round 8-9 inch pan and brush with olive oil. 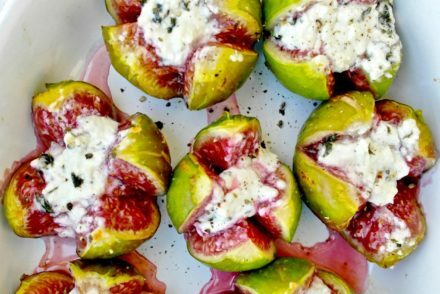 Spread a phyllo sheet and cut in half. Place phyllo in pan scrunching it so it fits in the pan, this will make for thicker and crispier base. Brush with olive oil and continue until you have 6 layers (using 3 sheets cut in half). Empty the greens mixture in the pan, spreading evenly. Cover with 6 layers of phyllo using the same technique as before. After placing the last phyllo sheet. Brush with olive oil, sprinkle with a bit of water and the sesame seeds if using. Score the top phyllo layers in 6-8 pieces, do not cut all the way through. Bake in the lower level of the oven for about 45 minutes. I usually place the pie all the way on the bottom directly on the oven for the last 10 minutes for a crunchy crust. Remove and let it cool. It can be enjoyed warm or at room temperature. Where can you purchase myronia and kafkalithres? What can you substitute for those ingredients or leave out??? Cannot find too many Greek items where I live. Thank you. Yes, Myronia (wild chervil) and Kafkalithres are not easy to find, as I mentioned in the post you can use other aromatic greens. That’s the beauty of the hortopita; you basically use what you can find. You can use kale, dandelion greens, beet greens, mustard greens. Myronia in the Country I am living?Kafcalithres?There is no way! What happened to the olive/tomato? Gee, I think it is a wonderful recipe and all it takes if you cannot find the exact ingredients is a little imagination. What would you like to put in the recipe to cover for the ingredients not easy to find in your area? In the UK you can use Ground Elder as the main ingredient, which is great because it’s a real pest in the garden. Plus add a few dandilion leaves (which are very bitter, so take care) and some young stinging nettles. Sorel, angelica leaves, fresh origano, celery tops and lovage leaves can all go in too. This recipe was wonderful! I am enjoying various combinations of wild greens I find in Vermont, mixed with chard etc. Today I’m using dandelion, curly dock, and lamb’s quarters. Mushrooms are excellent in this too–it’s incredibly versatile. One question: can this be frozen? I would like to take one to a friend–long car ride, overnight. I guess a cooler would work if it won’t freeze well. A couple of days ago I found your lovely recipe for spanakopita and for some reason I was not able to bring it up again. Can you possibly email or tell me how I can bring it up again? Your explanation of the Greek/Mediteranian diet was excellent! I am 80 years old and I have never seen a Greek cook measure olive oil by a tablespoon or measure at all! My parents were from Kefalonia and my Mom made kreatopita which we all loved. Are you familiar with this pita? Thanks for the hortopita recipe. Been looking everywhere for one. Can tofu be possible to use in vegan version of this dish? Tofu resembles feta cheese and has lower calories and fat content than feta. Hmm not sure, it will have ad ifferent flavor. Generally all Greek pitas have a vegan version, you basically omit the feta and the egg. Sometimes a bit of rice is added to provide volume. Love this recipe. I have made it several times, substituting where I have to, but it’s always delicious! Thank you April! Glad you are enjoying it! Wonderful, and actually very quick to make. Used kale, not even particularly fresh stuff, and oregano because I didn’t have any dill but marvellous anyway. Now looking forward to left overs for my lunch! Wonderful! Thanks for sharing Adrian!